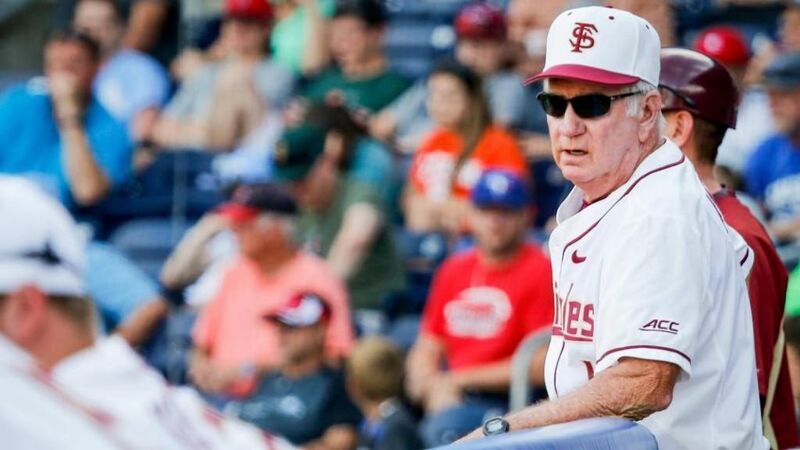 TALLAHASSEE, Fla. – Florida State University Director of Athletics Stan Wilcox announced today that baseball coach Mike Martin has agreed in principle to a contract extension that will take him through the 2018 season. “I am very pleased that Mike Martin will continue to lead our baseball program,” said Wilcox. “He is one of the most highly respected coaches in college athletics and his leadership of our perennially successful program goes far beyond wins and losses. Martin, who just completed his 37th season as head coach of his alma mater, led FSU to its 37th consecutive NCAA Regional. The Seminoles advanced to a Super Regional for the 15th time in 18 seasons, which is the most for any school since the format was adopted in 1999. “Every day that I have coached at Florida State and worked with the caliber of student-athletes that I get to coach has been a blessing and a privilege,” said Martin. “I appreciate the confidence that Stan (Wilcox) and our university administration have in our program. Martin has 1,898 career victories which are the most among all active college coaches. “I’m so happy for Mike and excited that he will continue to coach our Seminoles,” said Florida State University President John Thrasher.